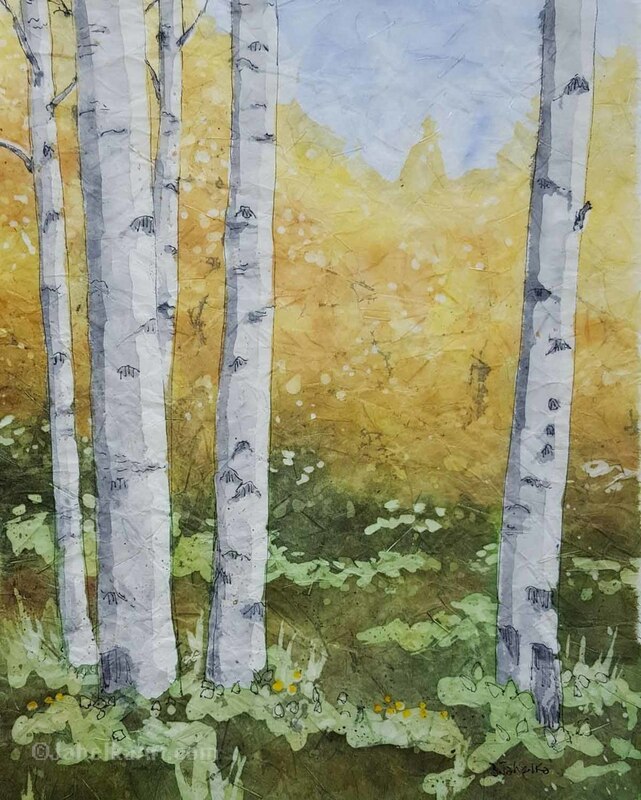 As autumn encroaches through the high montaine forests, the aspens and undergrowth slowly change to yellow and gold and the last of the flowers bloom on the forest floor. The batik is 9 x 7 inches in size. It is matted in an acid-free mat sized to fit an 11 x 14 inch frame. Contact the Gunnison Gallery at 970.641.6111 to purchase.